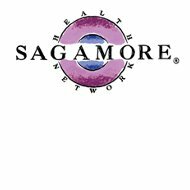 The Sagamore Health Network is a health care network based in Indianapolis, Indiana that provides its clients with exceptional and cost effective medical care. Network members have access to more than 250 hospitals, 15,000 primary care physicians and more than 40,000 specialists in the central United States region. In the native Algonquin language, “sagamore” means wise leader. It is with this heritage in mind that Sagamore Health has grown and prospered in the Indianapolis area. The benefits of membership include choice and savings. Sagamore health is not an insurance company and does not offer insurance services. Sagamore Health is a subsidiary of the CIGNA Health Network and now, in partnership with Beech Street, can offer preferred network medical coverage across the United States. Preferred Provider groups like Sagamore offer wide choices for medical care. Members may also choose to use providers outside of their network. No claims forms are needed when using network providers and costs are lower. Sagamore effectively handles all insurance claims on behalf of its members. Two plans, “Plus” and “Select” are available. Sagamore employs the latest in technology in order to provide its members the highest level of service with the shortest possible response time. Claims may be submitted and tracked instantly on line. The online provider directory is updated each day. For more information, call Sagamore toll free at 800-364-3469. As a part of the giant Cigna Health organization, Sagamore offers numerous career opportunities. Applications for administrative openings and other professional positions may be submitted on line through the Cigna organization. Sagamore and Cigna offer excellent compensation and benefit programs with a work environment that is focused on the health and well-being of their employees. Benefits include not only medical insurance, but life, disability and dental coverage as well. Brokers may access http://www.sagamorehn.com/main.asp?view=broker, for more information on how they may add Sagamore to their portfolio of products and services. Sagamore auto policies offer terrific rates for all types of drivers including new licensees, younger single drivers and other customers who may have never had auto coverage in the past or may be considered higher risk clients. Many discounts are offered as well. Convenient monthly billing also provides customers with a number of payment options. Sagamore takes pride in responding to all claims within 24 hours. Auto coverage includes bodily injury and uninsured motorist up to the traditional $100 thousand and $300,000 limits, with property damage covered up to $50 thousand. Comprehensive damage and collision coverage with standard deductibles are also offered as well as medical coverage, and coverage for towing, rental cars and other special needs. Sagamore fleet policies protect small trucking businesses with comprehensive coverage at competitive rates. All contents are also covered by these policies except hazardous material. Like Sagamore’s personal auto programs, trucking fleets are eligible for annual discounts. Billing is also easy and convenient and monthly bills may be paid online. Fleet liability coverage extends to $1 million. The coverage for contents ranges up to $100 thousand. Comprehensive and collision coverage is also available, as is fire, theft, and additional coverage. Clicking on http://www.sagamoreinsurance.com/careers.html will provide access to the Sagamore Insurance career page. Career opportunities are generally available in many areas including accounting and finance, sales and marketing, underwriting and claims and actuarial services. Applications may be submitted by mail to Sagamore Insurance at the above address, to the attention of Human Resources. Generous benefit programs are available for all Sagamore employees including medical and dental, life and disability, and retirement. There are also educational benefits, which include the reimbursement of tuition for college courses.